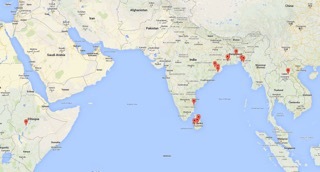 Our current projects range across India, Sri Lanka, Bangladesh, Rwanda and Ethiopia. Most projects require ongoing funding. We try to revisit projects frequently and offer support to the dedicated local teams who are committed to improving lives in their communities.